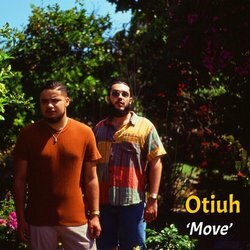 Otiuh are a Perth hip hop duo comprised of childhood friends Cesare Papa and Jahmeil Baker. They combine golden age lyricism with eclectic production and an infusion of funk & soul. The name of the group is taken from a Latin abstract term which refers to leisure time. It was during these moments at concerts, festivals and in each other’s’ backyards rhyming where the two found their drive to make music. Being fans first, they cite influences anywhere from A Tribe Called Quest to Run the Jewels. The duo released their first mixtape in 2017 and began performing around Perth. They soon formed a band and released a string of self-produced singles leading into 2018, gaining national airplay along the way. The act is gearing to release their third single of this year, ‘Move’. On ‘Move’, Cesare Papa and Jahmeil Baker trade spitfire verses over tripped out and eclectic production, creating a toe-tapping, head-bopping, infectious jam about never taking things too seriously and never caring about what others might think. Just let go and ‘Move’.